My name is Min Zhang. I graduated from Nanjing University of Science and Technology in June, 2017, and I am currently a M.S. student in the Department of Electrical Engineering at USC. About research interests, I would like to work on image and video processing. Researches both on theoretical and application field attract me very much, like architecture researches on CNNs, or application research related to unmanned driving. In my daily life, I like to do some sports, such as playing table tennis, badminton, and running. And I am very interested in finding delicious food in LA. 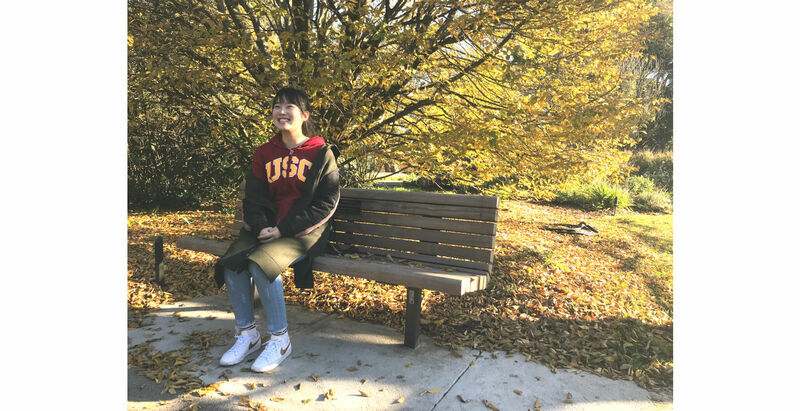 The environment of USC is quite good, as there are many green trees and flowers surrounding us. I really enjoy walking on campus. People in USC are all very kind and enthusiastic which impressed me a lot in the past year. I know that image processing of USC is quite good before I come here and I have wanted to study in MCL for a long time. Fortunately, I can be a summer intern student in MCL and I meet many hardworking and passionate students in the lab. I hope I can do well and study more. I am now working with Prof. Kuo to study further into CNN’s architecture. I hope we can have a better explanation about it. Besides, I am also interested in researches about image and video processing.